The closing weeks of 2017 marked a historic approval for Spark Therapeutics and a watershed moment for the reinvigorated gene therapy field. This first will undoubtedly not be the last time that gene therapies have a huge impact on rare disease sufferers. Along with Spark, I have worked closely with industry trailblazers from Bluebird, GSK and Pfizer to identify the most critical hurdles that must be overcome to deliver these therapeutics to market. 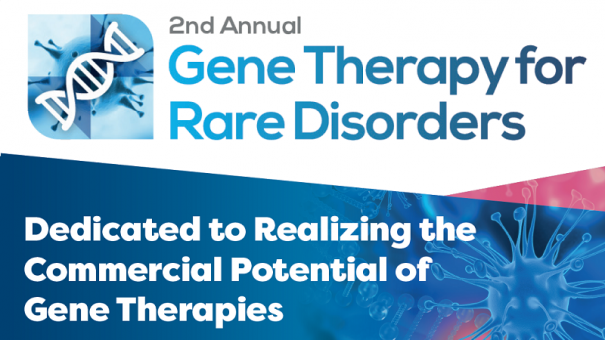 Gene Therapy for Rare Disorders 2018 is the conference that has emerged from these discussions. Dedicated solely to tackling late-stage regulatory, reimbursement, clinical and manufacturing challenges, this conference is your comprehensive guide to gene therapy commercialization. With spaces filling fast, it’s crunch time to decide whether you are going to be among the 200+ gene therapy leaders sharing comprehensive insights into the cutting edge progress of gene therapies combatting rare disease.